We retired to a developing country, as many do. 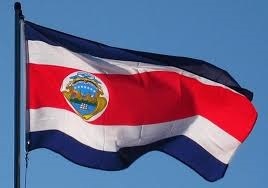 We chose Costa Rica. Our lifestyle here includes employing people to help with the garden and the house. If we have resolvable health issues, we deal with them. We keep fit by going to various classes and walking. My, time is spent writing books. Friends play games or have BBQs for other gringos. In the past weeks, a Tico neighbor had a heart attack. His family were crying because there was no food. As we enjoy our healthy walk, we see Nicaraguan workers and Ticos, some in their 80s hacking away at the sugar cane. In the coffee season, whole families, kids included, load onto tractors to do the work. Each one needs to support their family. We read that in the USA, the greatest country in the world according to some, most people are one health problem away from Poverty. That is equally true in Costa Rica, unless you are a member of the privileged elite. Ticos we know, are queued for long periods with chronic health issues. Gringos we know are able to work the system to get priority, even though they arrived relatively recently. By what circumstance of birth and luck do we deserve to live as we do here? How should Ticos feel about, we strange beings who do not need to work. Should we be surprised that our houses are being robbed and behind the facade many dislike gringos?